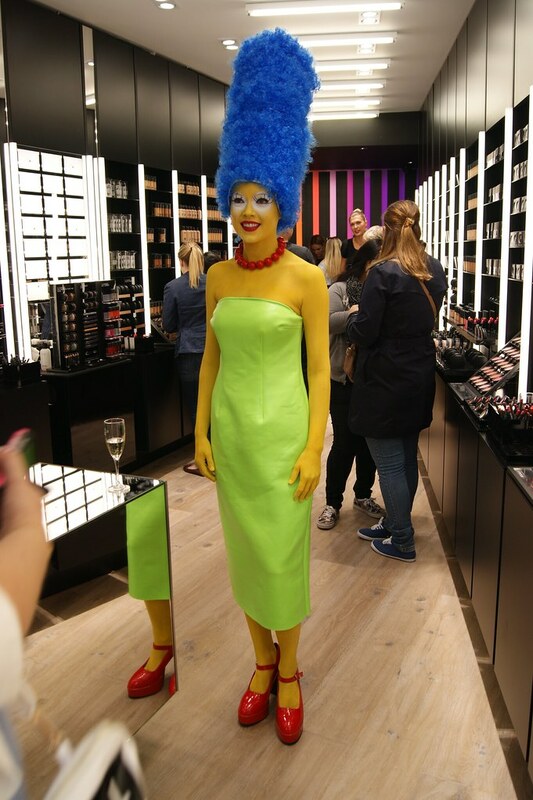 Yesterday, I was invited to discover the highly anticipated collaboration between Marge Simpson and MAC at the renewed store in Antwerp. I decided to be there super early so that I could get my hands on my favorite goodies from the collection. 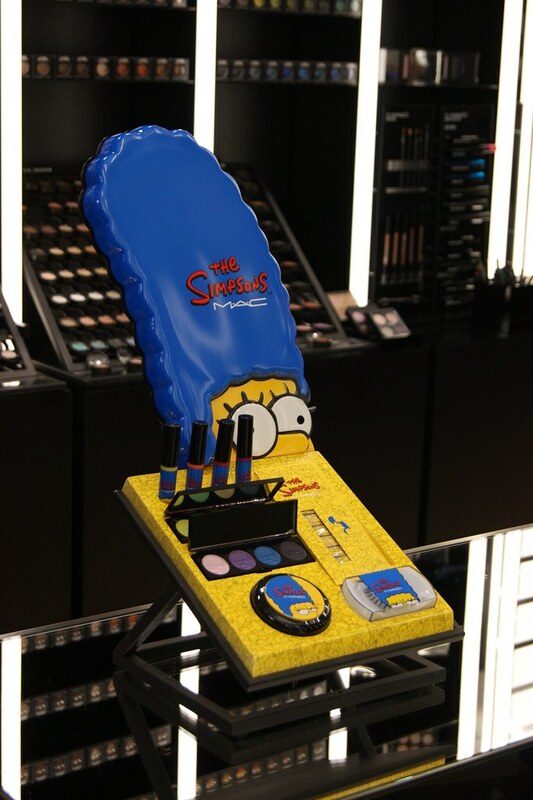 If you visit my blog on a regular basis, I don't think that it's a secret that I'm a big fan of The Simpsons; just click here and here to find out what I'm talking about. 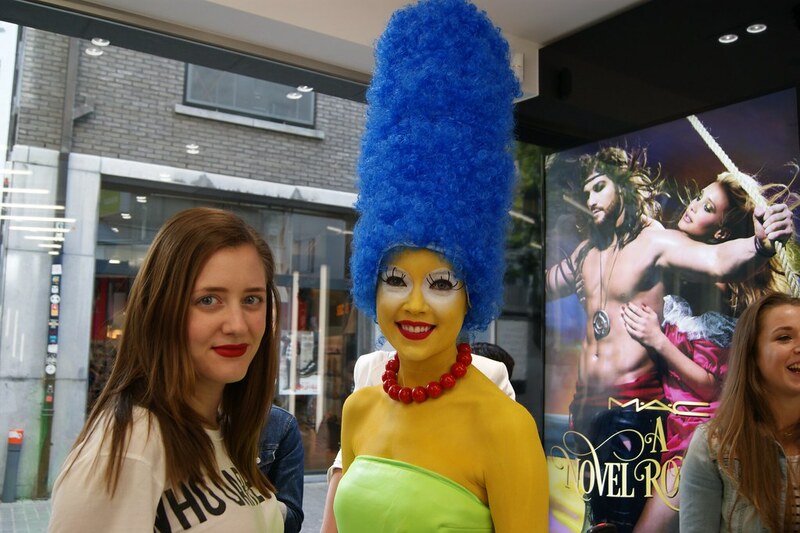 So can you imagine my excitement when I discovered that Marge Simpson was there to personally introduce her collection? Just add drinks, bites (DONUTS!) and fun people all together and you know that it is set to be a fun night. 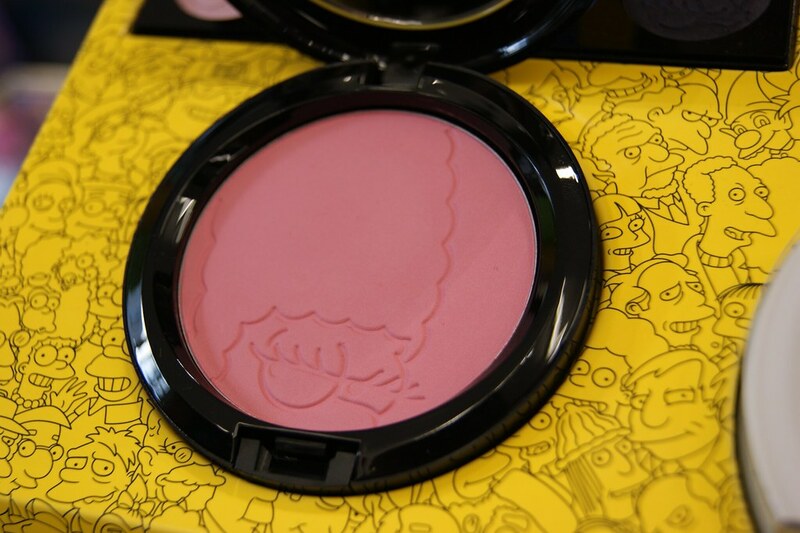 I will show you my purchases from the The Simpsons X MAC-collection in a future post, in which I will talk to you in detail about them -- swatches and all. 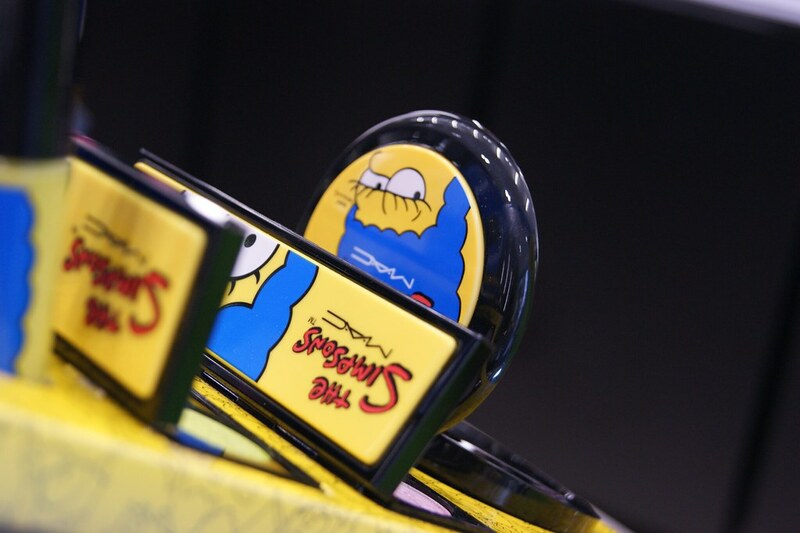 But for now, I'm going to leave you with some pictures I shot at the event. I hope you like them! I would like to thank Melanie and MAC for the invite, I had a blast! Looks like a fun collection ! Zag er een leuk event uit :-). Hihi, supergrappig!! 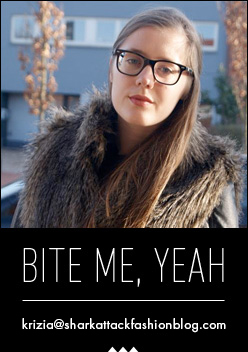 Maar wel altijd leuk die LE. 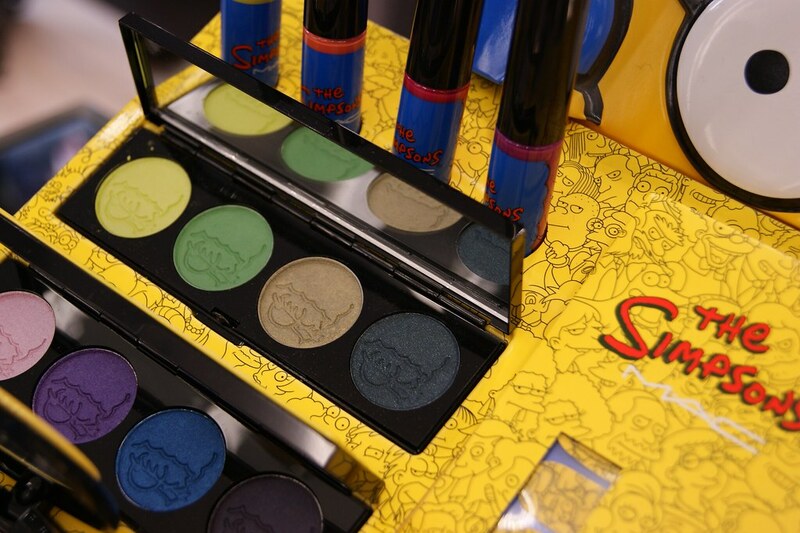 I loved the collection. 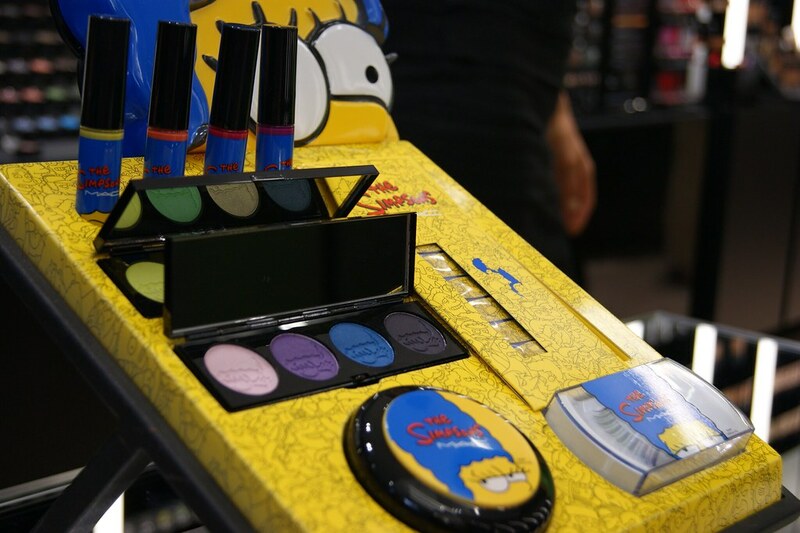 I am pretty lucky since MAC collaborates with -- they send me the collection and I love the yellow lipsgloss!! !